Exterior of the breathtaking house. Exterior of the house at night. A group of our awesome travellers spending their afternoon at the beach. A group of our awesome travellers on their way to paradise. The entry way to the main house. Our double room is perfect for couples or solo travellers wanting some extra room. The beachside swimming pool - perfect for cooling down and relaxing in. Perfect place to wind down and relax. The perfect room for a family, group of friends, or solo traveller. What a perfect way to spend your time in paradise - in an outdoor bath surrounded by lush greenery. Perfect room for a couple, or solo traveller wanting some extra space. Living space of the main house. One of the many activities available for the afternoon. Depart Abell Point Marina at 1.00pm and jump on board the vessel Wildcat and cruise at high speed to the fringing Great Barrier reef. Enjoy snorkeling with the resident turtles and coral fish, or relax on a pool noodle whilst observing the beautiful soft coral. Then it’s the ride of your life across the Whitsundays passage to the idyllic Paradise Cove Resort. After a detailed tour of the exclusive resort you will be shown to your room. You have a few spare hours before dinner that can be filled however you like. Play pool, tennis, paddle board, kayak, walk on the beach, football, chill by the pool/spa or simply relax in a hammock and take in the tranquility of Paradise Cove. The hot spa and pool is a great place to relax while the crew prepare the delicious chicken curry for dinner. Then try your hand at roasting some marshmallows on our beach side fire pit. Wildcat will depart at approx. 8am to Whitehaven Beach and the amazing Hill Inlet Lookout. Once you've taken those once in a lifetime pictures at the Hill Inlet you can stroll down to the silica sand and do some exploring. After a couple of hours soaking up the sun on the beach you should be ready to head home to Airlie Beach. * Food allergies and dietary needs to be requested at time of booking. We are unable to cater for Vegans or halal but they are welcome to follow a vegatarian menu and bring their own snacks. A $12 surcharge is payable upon check-in for all dietary requirements excluding vegetarian. Best way to see Whitsundays! This tour has everything! Incredible accommodations, excellent food, friendly guides, and numerous outings to see the best places the Whitsundays have to offer all in one! We snorkeled on the great barrier reef, turtle cove, and saw sting rays on Whitehaven beach. 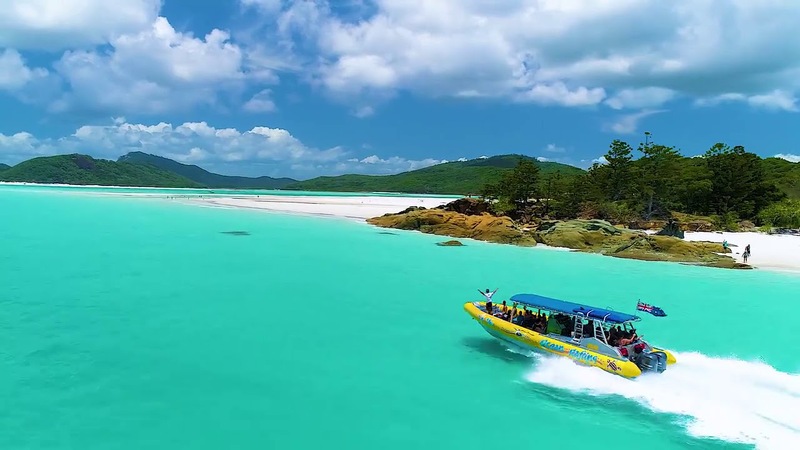 There really is no better way to do all of these activities, this tour is an absolute must for anyone visiting Airlie beach. Ride to Paradise was AWESOME! Steve and Billy great fun and very knowledgeable and looked after us very well. Food was amazing... Blown away by the resort, luxury all the way! The WildCat boat was great for speed to get to us to Whitehaven and snorkelling faster than other boats, so we had more time to snorkel, relax, explore. Overall this trip was amazing!